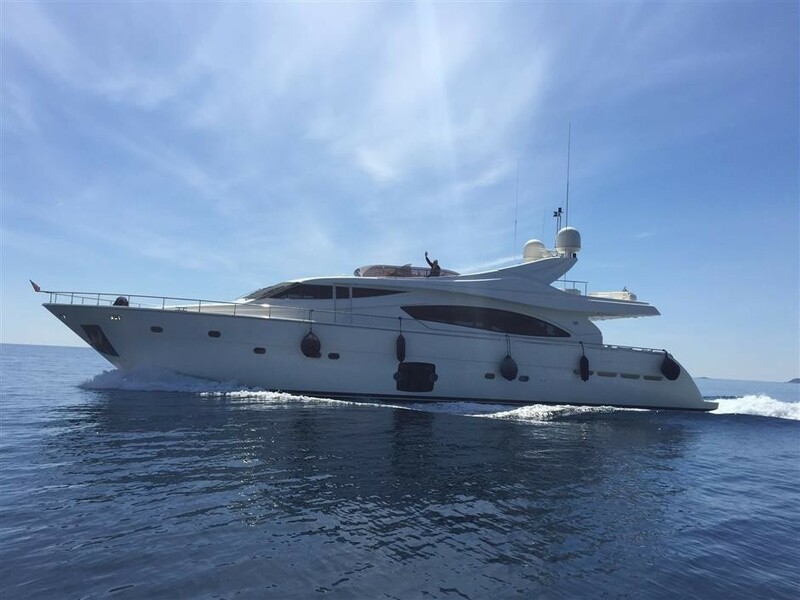 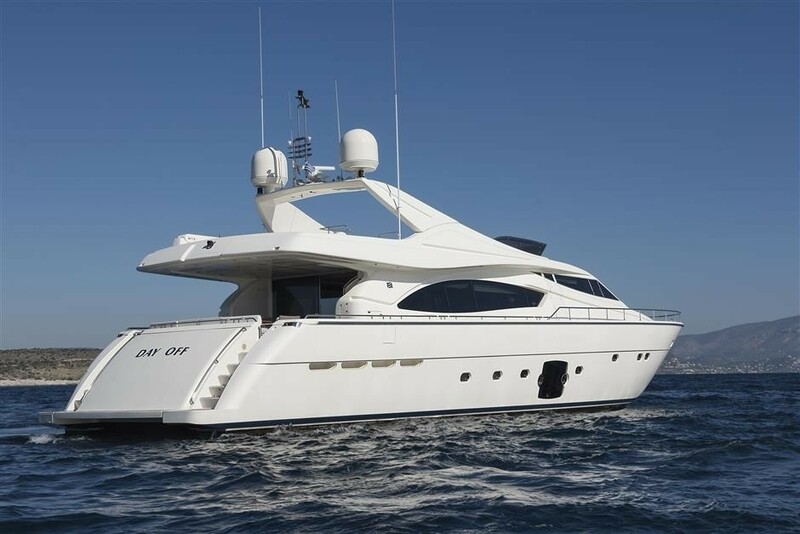 Motor Yacht DAY OFF was launched in 2006 by the renowned Ferretti group and is 27,03m (88,8ft) in length. 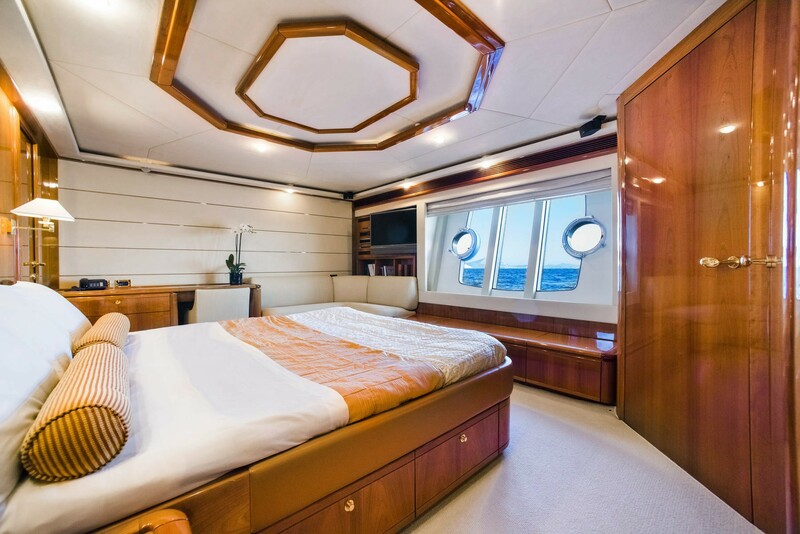 The naval architecture and interior design is the work of Zuccon International. 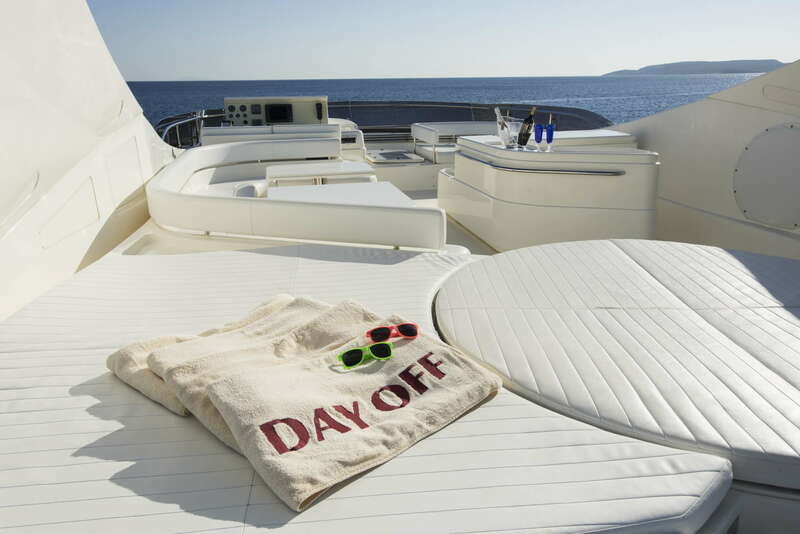 DAY OFF offers stylish accommodation for up to 10 charter guests, in 4 cabins. 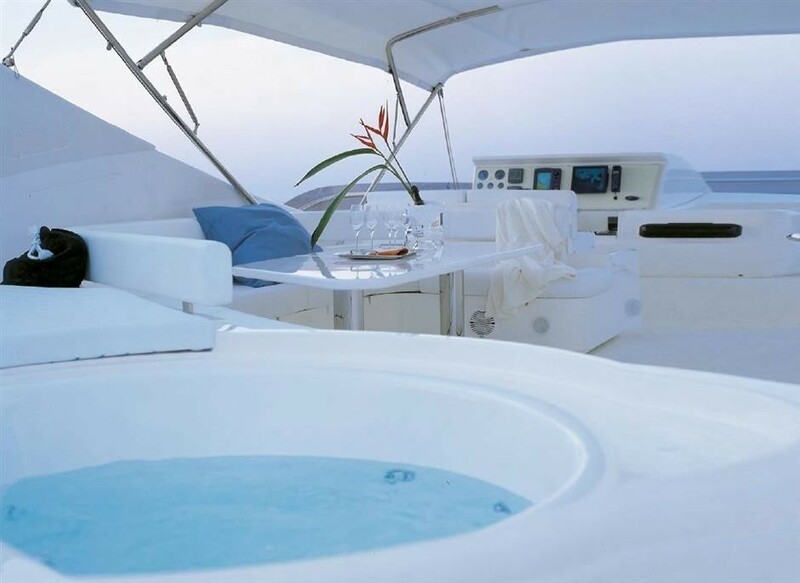 The interior décor is contemporary and light. 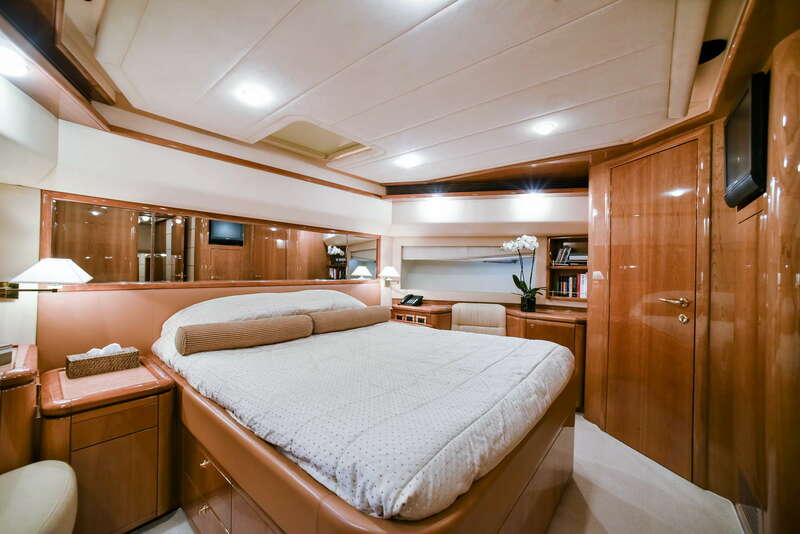 Muted cream tones and warm woods throughout create a refined ambience. 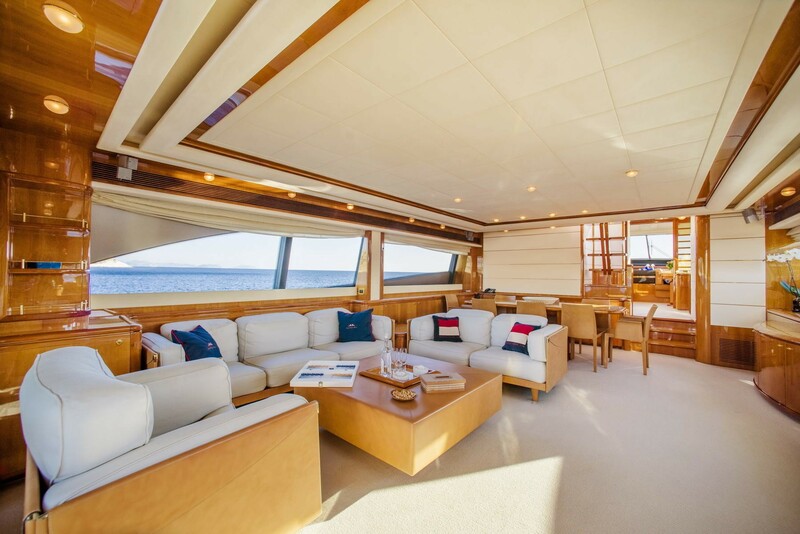 In the main salon, a generous lounge features sumptuous seating, coffee table and entertainment systems. 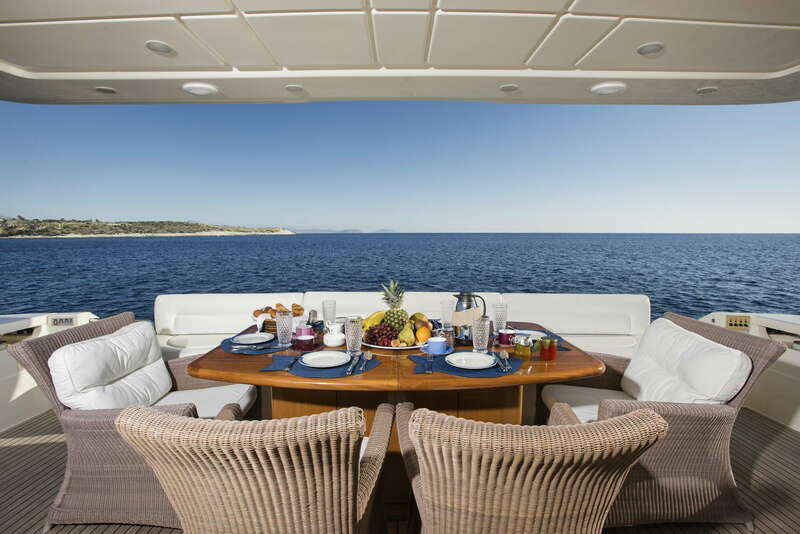 Forward of the lounge is the formal dining table. 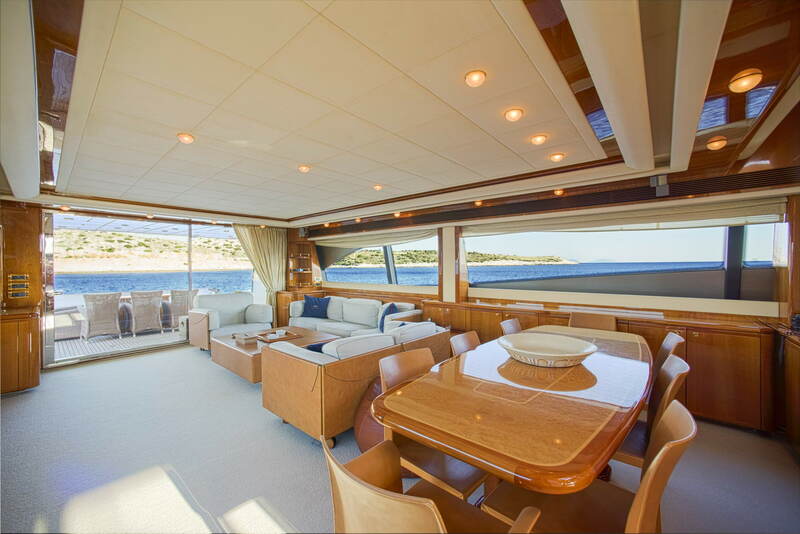 With an open plan layout, the salon and dining space is perfect for casual or elegant entertaining. 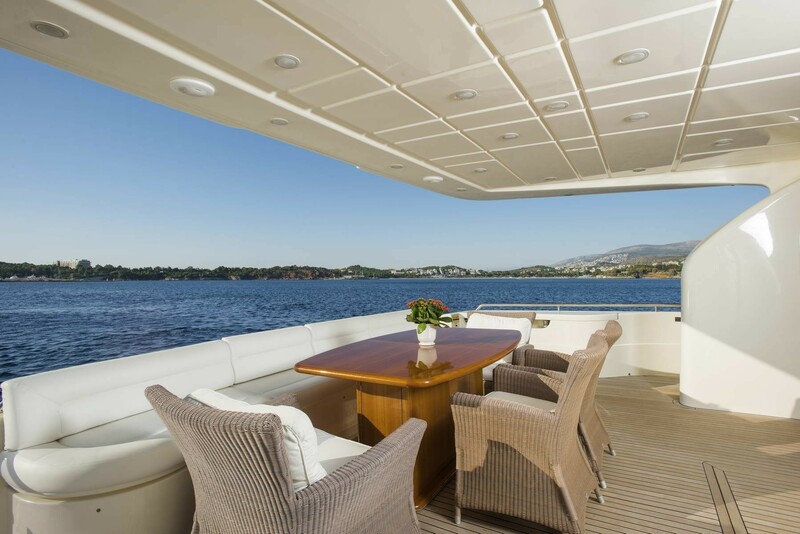 Elongated side windows provide ample natural light and spectacular views, while the wide sliding glass doors aft bring expand the space outdoors with ease. 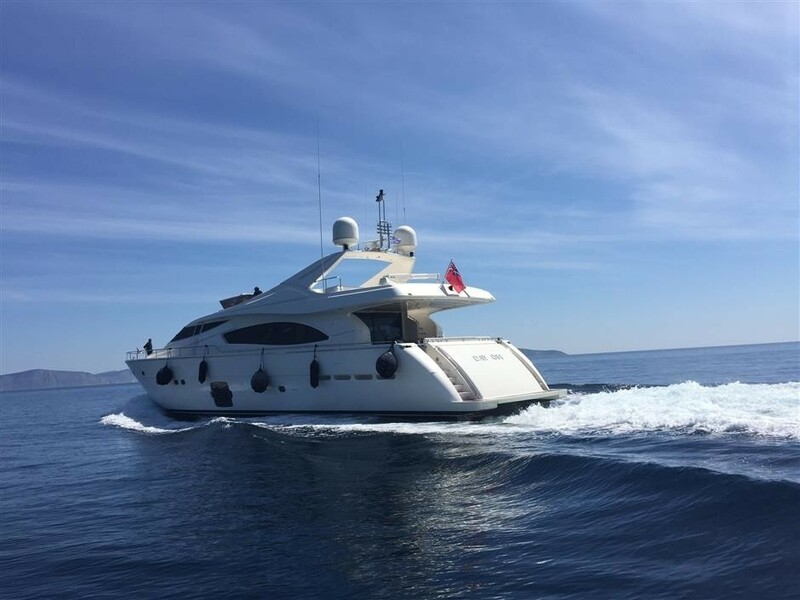 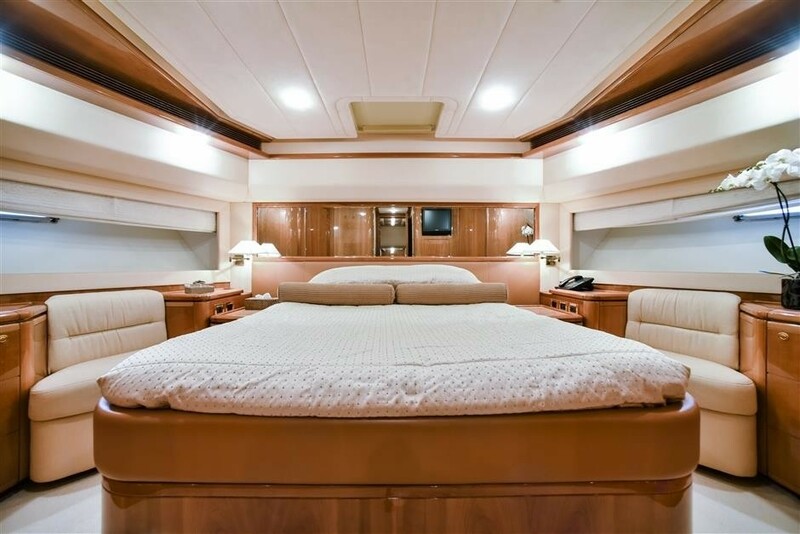 Accommodation aboard the yacht is on the lower deck in 1 master cabin, 1 VIP cabin and 2 twin cabins. 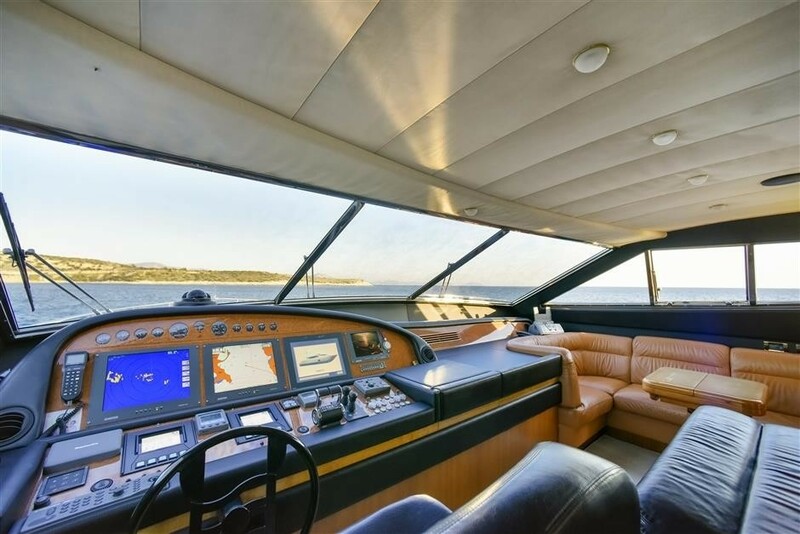 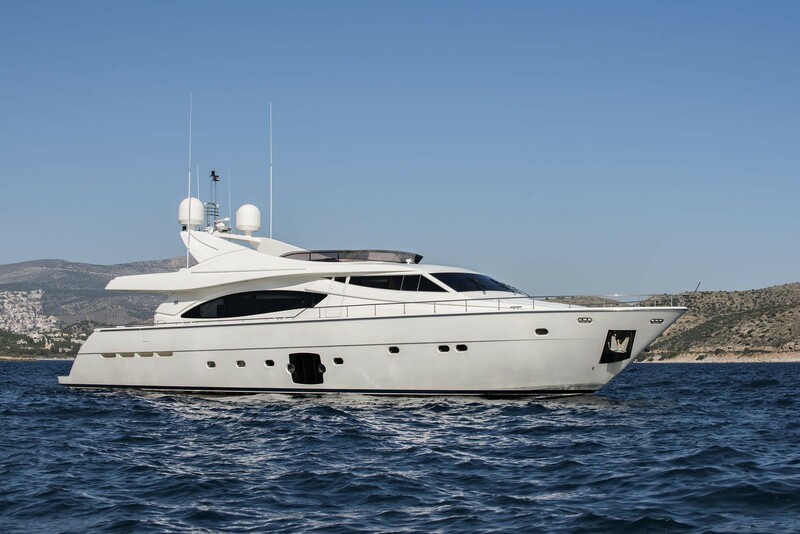 The Ferretti 88 is great for exterior living. 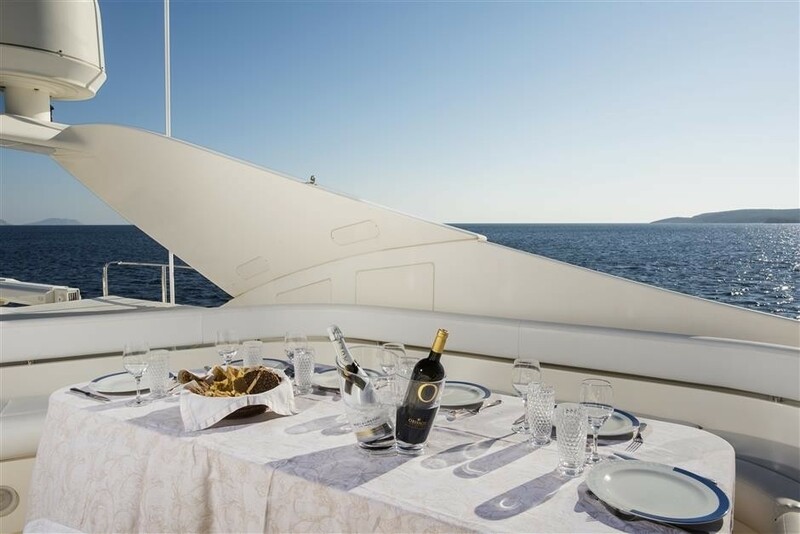 The aft deck is adjacent to the salon and offers a shaded alfresco dining table and seating, thanks to the direct access to the salon, space is perfect for socializing. 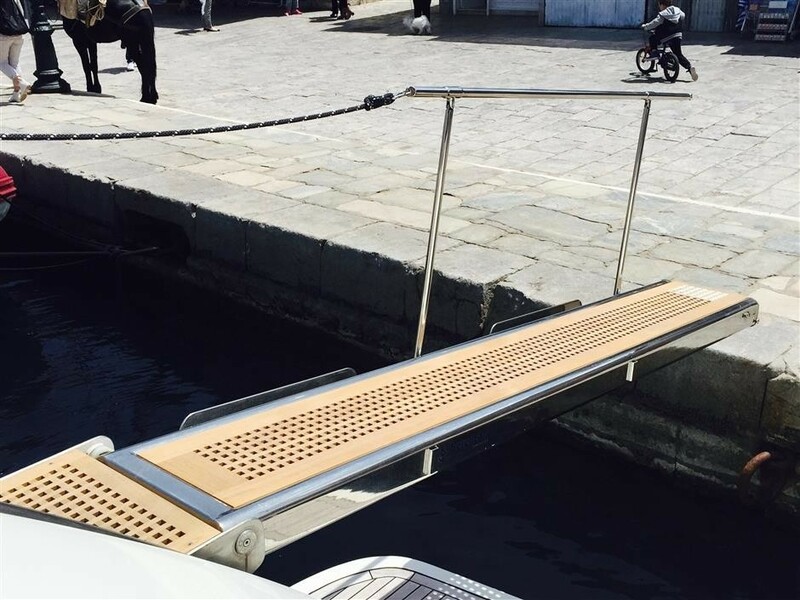 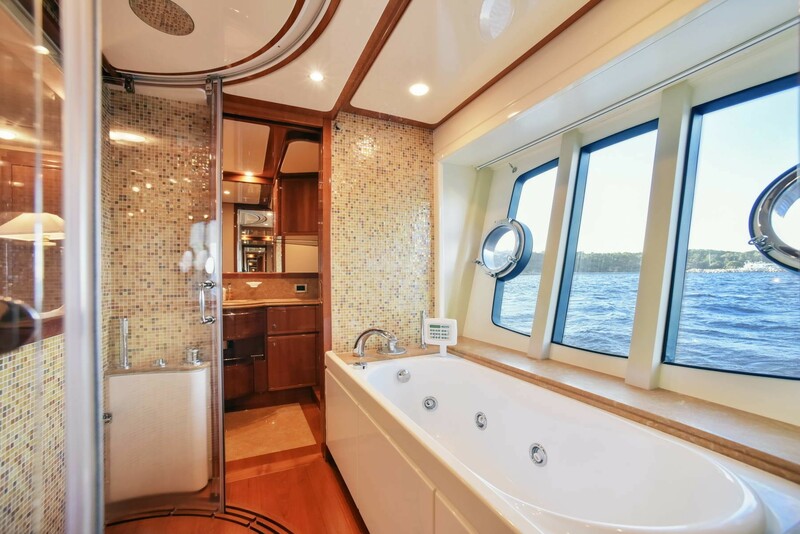 A large extending swim platform off the transom makes enjoying the water toys safe and easy. The yacht’s wraparound main decks lead to the foredeck, where a raised sunpad awaits the sun worshipers. 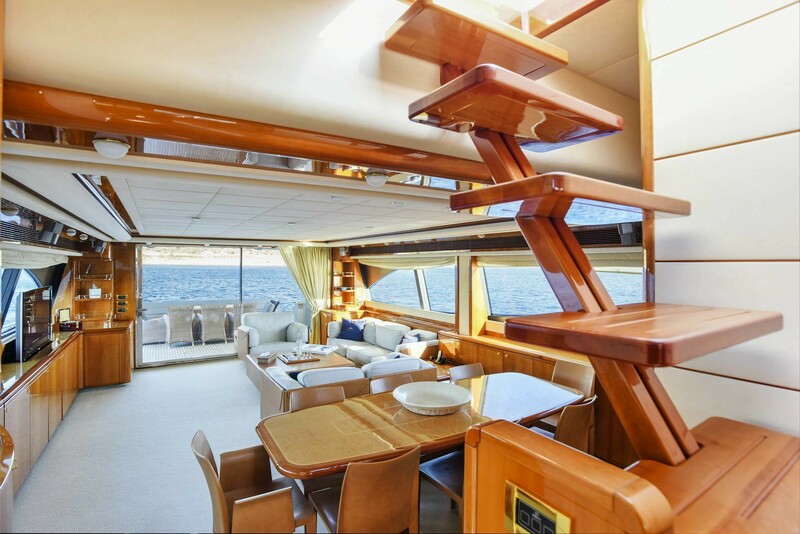 On her upper deck, there is an additional alfresco dining table, wet bar and sunapds. 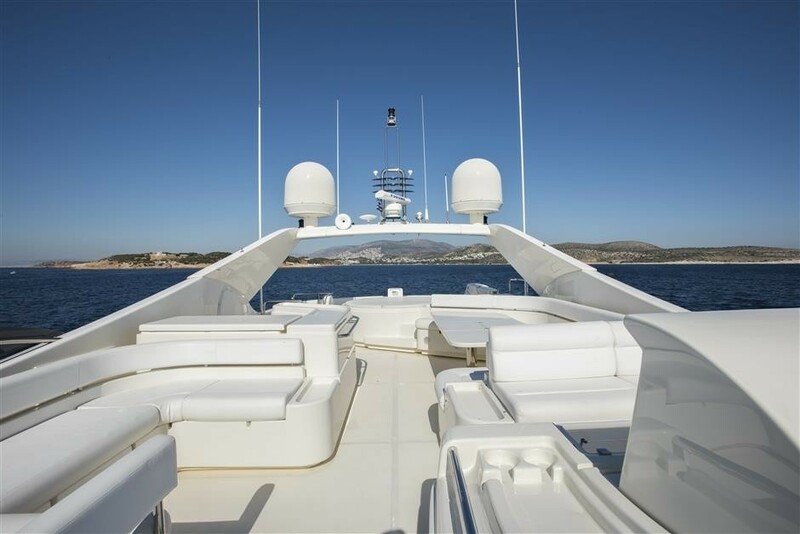 Powered by 2 x MTU 2,030hp engines, she cruises at 25 knots and can reach top speeds of 31 knots. 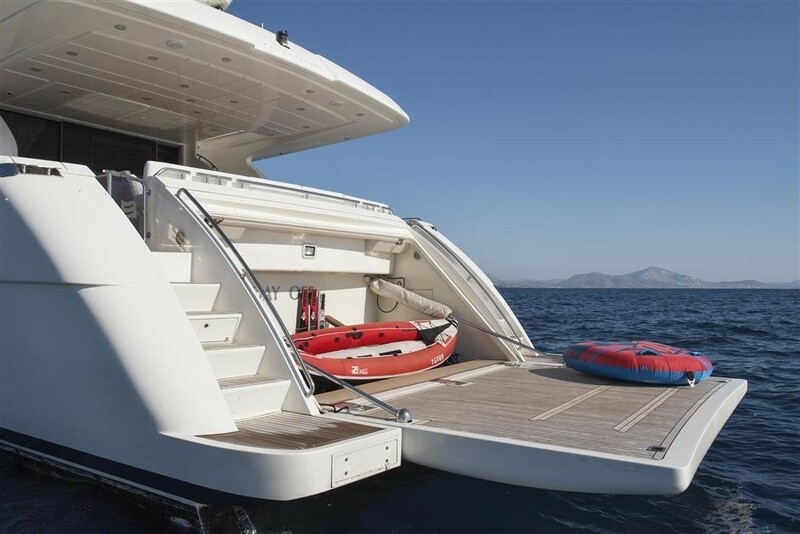 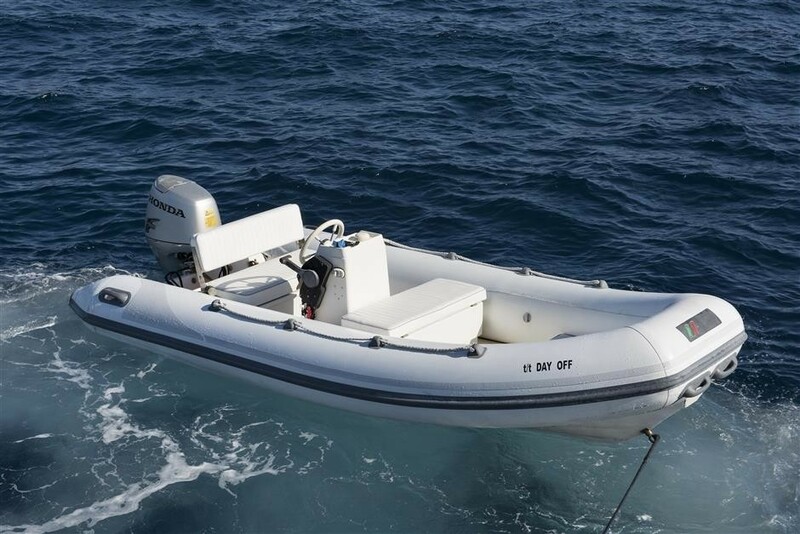 At anchor and underway, stabilizers are fitted ensuring optimum comfort. 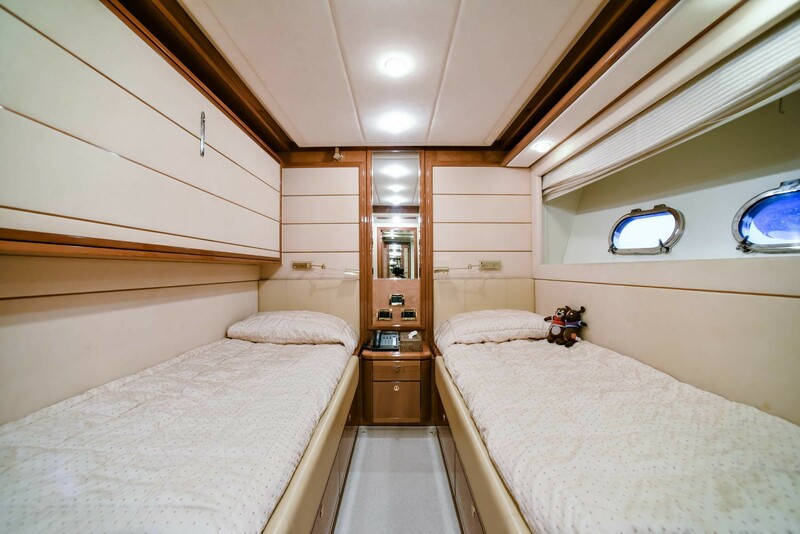 Accommodation is in 4 en-suite cabins. 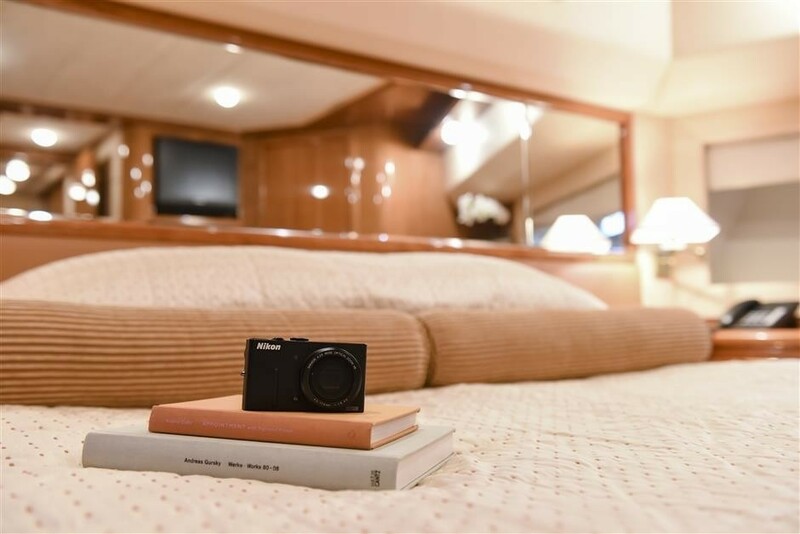 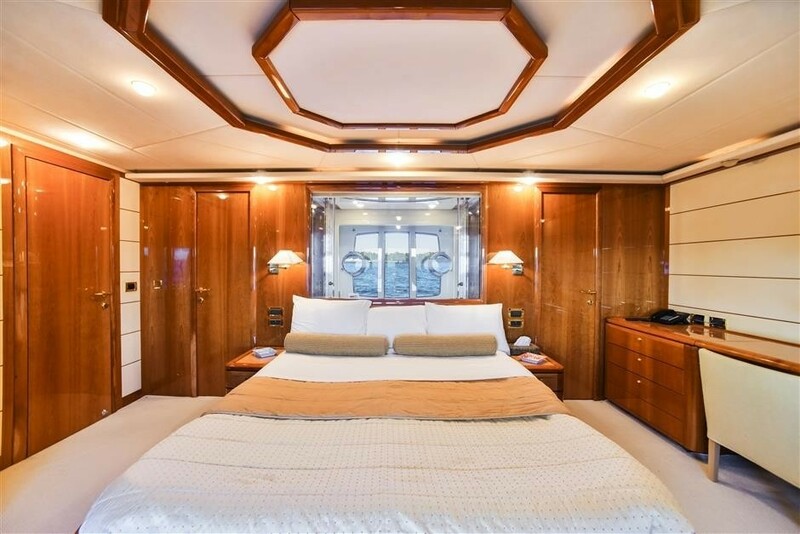 The master stateroom is amidships with a walk around queen size bed, study/vanity and sofa. 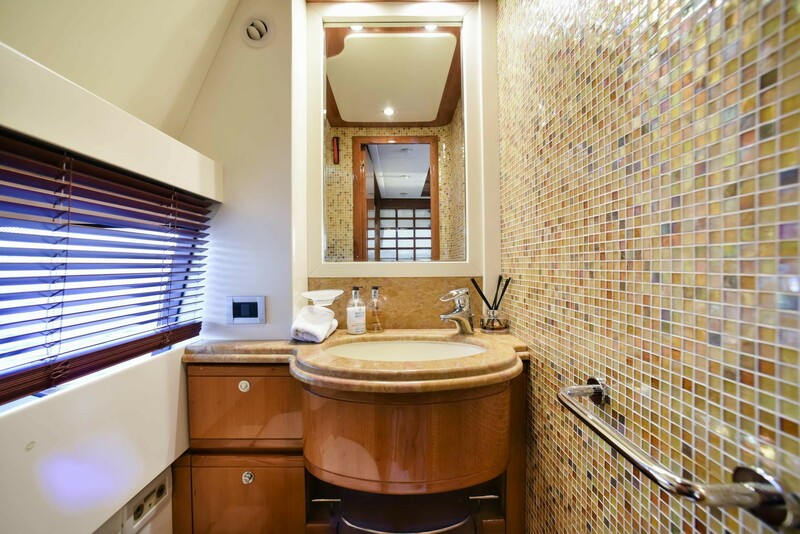 Large panoramic windows in the cabin and the en-suite with tub bring in fantastic natural light. 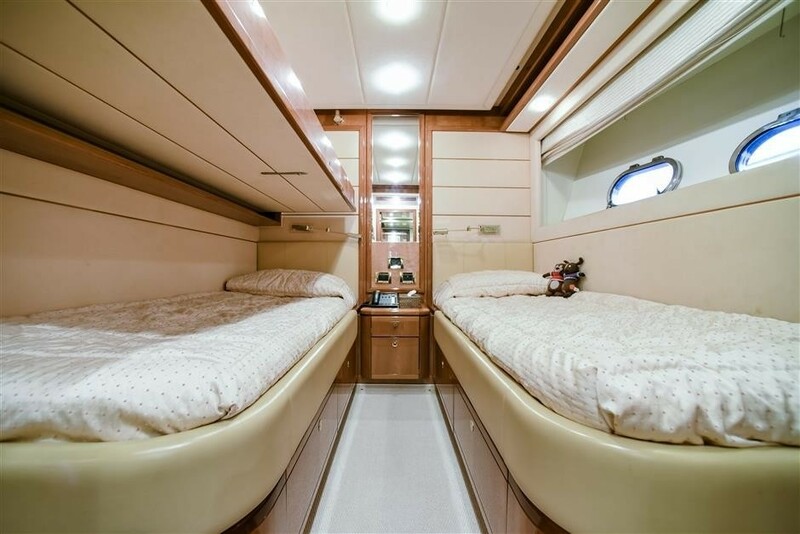 The VIP cabin is full beam of the yacht forward, while 2 guest cabins each have twin beds and a Pullman berth.